It’s like they have their own little Jesus. Iconic British singer Sir Elton John and his husband David Furnish also became proud parents on Christmas day, with the joyful arrival of 7 pound, 15 ounce Zachary Jackson Levon Furnish-John via a surrogate in California. 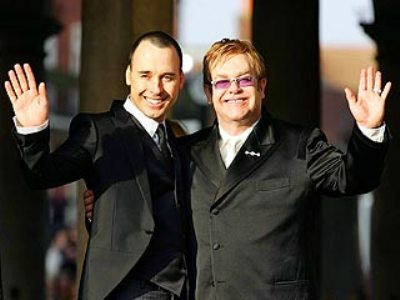 In order to respect and protect the identity and privacy of the surrogate, neither Sir Elton nor David Furnish will discuss any details of the arrangements made. What’s up with the hyphenated last names? Is that going to be the new celebrity baby name trend?